Please find Fricker’s very important Super Bald hairline blog post below for information regarding the party at his Dojo. After a long weekend in FresYES, I thought this would be a good opportunity to update my blog. Although a rush of last-minute resignations threatened to weaken the FresYES Super Bowl weekend, a band of hearty IFS ministers made the trek to the BIG Country. The Minister of ID opened up his well decorated home to us, and showed as a weekend for the books. We bowled, we drank, we laughed, we cried, we ate lots of Mexican food. Although the Doritos Loco taco has been discontinued, we were treated to something far better…a Caruther’s original. Tito’s. The Al Pastor was amazing. Now that my bracket has been shot to hell, thanks Jayhawks, my attention turns back to the never ceasing world of internet gold mining. Today’s entry is Rainbow Pancakes. They dazzle the eyes and tickle the stomach. places, and braved the dreaded H1N1 Virus. 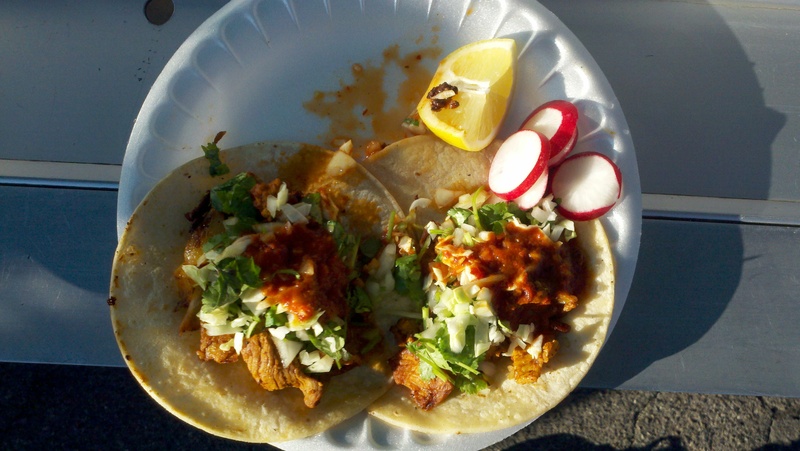 top, this taco is fantastic late night on the streets of Mexicali. with lime, cabbage, chili sauce, and Mexican sour cream. and are not generally served past mid afternoon. as well at El Borrego de Oro in Boil Heights LA. embark on my next culinary journey. Since I’ve got nothing to go on, I’ll use my imagination. This can’t be far off. Have they imported any of those new fangled computer contraptions to Germany yet?